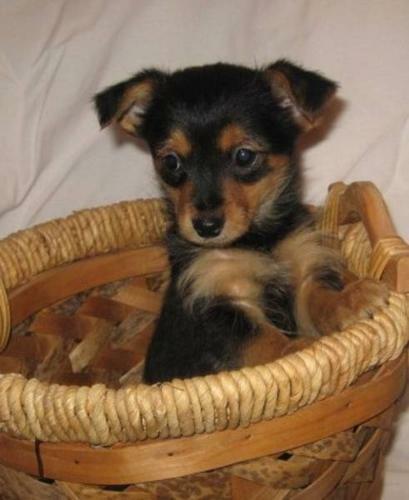 Chorkie puppies for sale. Two males and one female. Dad is a Yorkie and mom is a Chihuahua. They have been checked by the vet, first shots and dewormed. Adult estimated weight will be from 5-7 lbs. Ready for their new home.